While riding to work on the bus, I saw a Hispanic woman talking on her cell phone as she got on the bus. I just prayed she would not sit next to me in the aisle seat, but she did. She talked incessantly in rapid Spanish into her cell phone, which was close to my right ear. I could not stand any more of this unnecessary chatter. I finally spoke up and said, “Excuse me, but your cell phone is bothering me.” She looked at me with irritation and still kept chatting for a short time longer. Why do bus companies allow people to use their cell phones in long conversations? They don’t allow radios, so why cell phones? Who cares about the date they had last night? What they want for dinner? Plans for the weekend? The honors their children received? Problems at work, home, etc., etc. This is an example: One day, while riding the bus on my way home, I sat in the aisle seat of the second row of the bus. I heard a man talking on his cell phone, trying to make plane reservations. Since he was sitting in the front of the bus, in one of the seats that face each other across the aisle of the bus, he was in full view and his conversation could be heard by everyone. He stated he just had to have a Thursday flight, not a Friday flight or any other day, and had to return on a Tuesday and not a Monday or Wednesday. This was going on and on and I was on the point of really wanting to scream. The man sitting next to me remarked, “Please give him a Thursday flight.” His remark had such an emotional impact on me, I laughed until I snorted, which made him laugh. Why don’t people who converse on cell phones realize that they are in close quarters and their conversation is heard throughout the bus? Although the conversation is directly in the cell phone, it is clearly heard by the person seated at the right, in front, in back and across the aisle. People who ride the DASH buses should not talk on the cell phone because the seating situation is such that the conversation is even more clearly heard. In closing, may I say that many readers will wonder about my feelings on cell phones, but rest assured, I feel it is a great invention when used properly and such a godsend in an emergency. In typing Mr. Y’s column for Saturday, Oct. 4, he mentioned about commercial (telemarket) calls. Mr. Y stated he thought of answering the phone by saying “Moshi, moshi.” For the past several months, I have answered the phone with “Moshi, moshi” and wish to assure the readers that I did not “steal” the idea from Mr. Y.
Telemarket calls are another gross, troublesome aspect of technology. I have received calls as late as 9 p.m. and it really gripes me. After I slam down the receiver after getting a telemarket call, I wonder why that person is willing to continue working in such an unpleasant job. I firmly believe that telephone carriers really condone and/or encourage telemarket employees. I was assured when I switched from one telephone carrier to another that I would not be bothered with telemarket calls, but the promise was not kept. Another issue is when I am extremely occupied or am inconvenienced, the telephone rings and it is usually a telemarket call. I came to the conclusion I should have taught Tika, my cat, how to answer the phone. This modern age with its vast different segments of technology is good to a certain point, but has its disadvantages as well. Because of technology, I feel that soon there will be no privacy. Anyone will be able to secure another person’s Social Security number, credit card number and/or other numbers from one’s personal data. SCARY is the one word that comes to mind when this will become a reality. Another thing that really makes me VERY UNHAPPY is to have the telephone ring right in a crucial moment on TV such as the bonus question on “Jeopardy.” The phone rings about four times. I pick it up and say “Hello,” and no one answers. Or some nut calls at 8:30 a.m. on a Saturday morning, sings, “Happy birthday, happy birthday,” and hangs up. I read an article in The Los Angeles Times that says many people have the same feelings as I in regard to cell phones and telemarket calls, so why isn’t the problem being solved? When will the time come when we can say “Sayonara” to all telemarket calls? 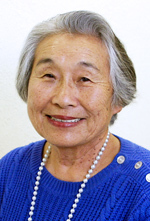 Maggie Ishino is a Rafu typist and can be reached at [email protected] Opinions expressed in this column are not necessarily those of The Rafu Shimpo.